You’ve heard it before: “Words matter.” Indeed, they do. They are especially important when it comes to making sure that your resume showcases your achievements. One way is to quantify 1-3 accomplishments as well as listing your duties and responsibilities. Remember, a resume is not a grocery list; it is your brochure, the marketing document for YOU, Inc. If they don’t see it in the first 30 seconds they scan your resume, you may have lost your chance for the job. Experts tell us that people get a general impression of us within a minute or less, and that is true of a hiring manager who is studying a resume. The fact is that your resume gives off signals immediately. Put yourself in the shoes of a hiring manager. Which of these bullet points catch your eye more? Managed, facilitated and administered the accounting function. Oversaw the production of financial statements. Under my leadership, the time to monthly close was cut from 10 days to 3, and the outstanding accounts receivable were reduced by 25%. This resulted in greater cash flow and a savings of 5% on loan interest payments. Frame your actions in a simple bullet-point format that summarizes your accomplishment and the positive results it achieved. What has your employer praised you for? What have customers expressed gratitude for? You may be surprised at the list you can compile. Take the example of a client who had a human resources background. They had developed a training program that reduced the time involved in every company sales transaction, to the extent of about $0.75 per transaction. Sounds insignificant? Well, this company typically processed 1000 transactions per day, 6 days a week, for a total annual savings of about $234,000. The cost to develop and deliver the training program was approximately $50,000, so the return on investment (ROI) was over 400%. Quite an accomplishment – but it was not on their resume, not in their cover letter and not in their answer to my question, “tell me about yourself”. In this case it took almost an hour of hard questioning to uncover and quantify this significant accomplishment! Most hiring managers won’t work that hard, so you need to make it easy for them. 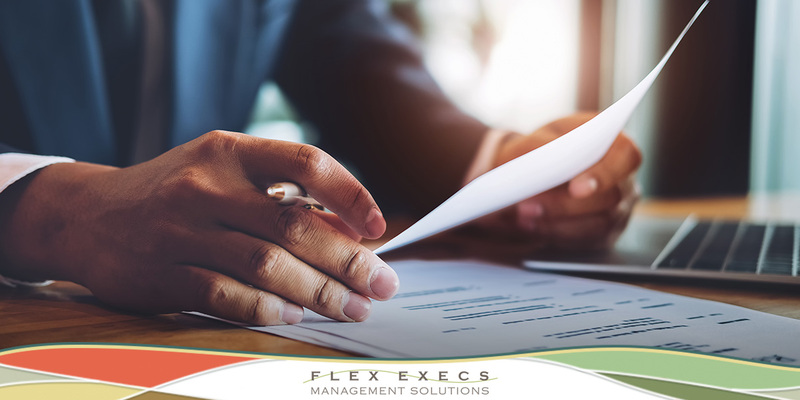 At Flex Execs, we do our best to help candidates showcase their achievements in the best way possible! If you are exploring the possibility of expanding your horizons, let us help. Contact Flex Execs today. During our careers each of us has had many “supervisors,” but we would not call all of those individuals “leaders.” Leaders stand above the crowd and project a combination of many traits including enthusiasm, self-assurance and charisma. George Washington was regarded as one of the most outstanding leaders in American history. According to author and researcher Richard C. Stazesky, Washington won accolades because he demonstrated leadership that was combined with an incorruptible character. What can business leaders learn from the first president of the United States? When you set goals and manage yourself, you are building valuable leadership skills. Part of managing yourself is learning to respond to people and events in an appropriate way, all while avoiding the trap of being too reserved or inflexible. Washington was considered a “visionary leader” because he was skillful in designing and creating an organizational culture which made possible the attainment of his visions and ideas. Have a vision for success, but be prepared to adjust your strategies to capture emerging opportunities or tackle unexpected challenges. Adjusting strategy does not mean you have lost your vision; it means you will be flexible to adapt in order to achieve your vision. Develop trust by showing others you can be counted on to keep your promises and demonstrate loyalty. Washington’s soldiers and staff stayed with him during the most difficult of times because they believed in him and his ideas. Great leaders have an innate sense of when to talk and when to listen. Leaders need to hear ideas in order to evaluate them. A staff that fears you will likely only tell you what they think you want to hear. Effective leaders take responsibility for their own mistakes, and they expect others to do the same. You can’t always be right, but you can always acknowledge what mistakes were made. Encourage creativity and brainstorming. You have probably seen how often your ideas can be given new dimensions by getting the input of others. Put that knowledge to work for you. By doing so, you create lasting relationships as you build your networks. Set goals and put them in writing, but recognize that the accomplishment of a goal must be accompanied by a respect for others. Washington knew that the use of unethical and disrespectful means to attain short-range goals could alienate others and prevent the attainment of long-range goals. As your career plans evolve to meet your visions of success, we are here to work with you. Building great teams means seeking out great fits for great business leaders. George Washington worked hard to build his leadership skills to build a nation. We’ll work hard to build your career to the next level. 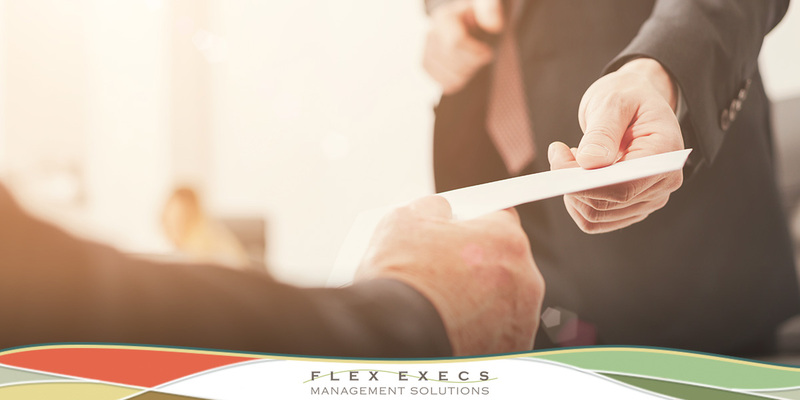 If you are looking for a new opportunity, contact the team at Flex Execs Management Solutions today.